The HollowNet : PLO's Abbas in Joint Whitehouse Press Conference Acknowledges the Israeli State in Arabic, with a Catch. 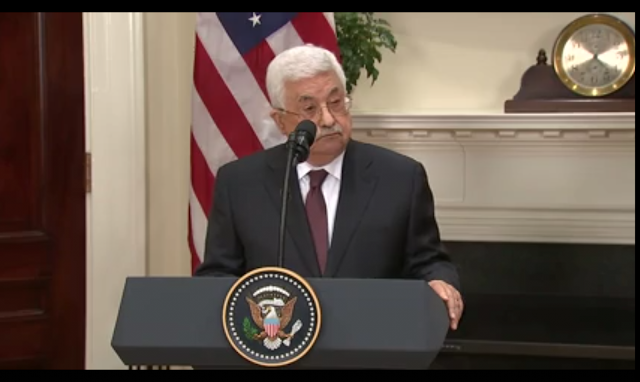 PLO's Abbas in Joint Whitehouse Press Conference Acknowledges the Israeli State in Arabic, with a Catch. President Donald Trump held a joint press conference with Palestinian Authority President Mahmoud Abbas. The Joint 15 minute conference consisted of approximately 5 minutes of optimistic remarks from President Trump, followed by President Abbas who addressed the world in Arabic, claiming to accept the existence of Israel. This acceptance however, hinged on terms Israel will likely find unacceptable. 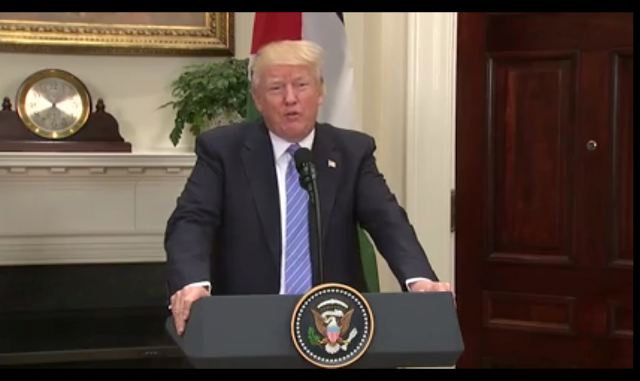 Though President Trump spoke in praise of the PLO's stance against ISIS and "other terrorist groups" conspicuously absent were references to Hamas or the Muslim Brotherhood, known terrorist groups long associated with Palestine. President Abbas' acceptance came pre-packaged with two criteria held to be "Non-Starters" for Israeli Prime Minister Benjamin Netanyahu: a return to "indefensible" 1967 borders and that Israel concedes East Jerusalem as the Capital of the Palestinian state. Abbas went on to call for an end to the Israeli occupation of Palestinian lands and in a move that will surely shock neighboring Syrians as well as Ukrainians living under pro-Russian rebel rule he referred to the Palestinian people as "the only remaining people in the world that still live under occupation." 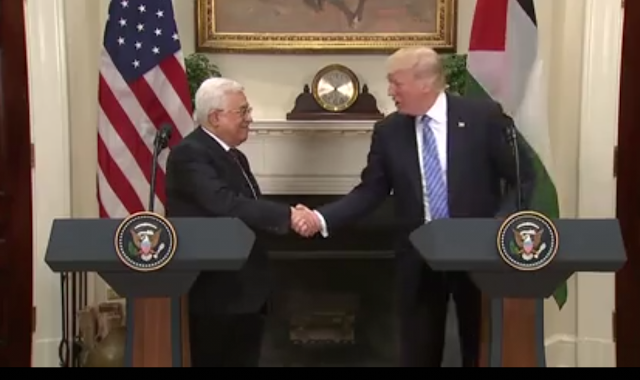 While the symbolic gesture of Abbas' recognizing the state of Israel irrefutably in Arabic for all the Middle East to hear is a positive step, this may only be described as a shallow diplomatic victory for the Trump Administration. Negotiations under the Bush, Clinton and Obama Administrations have shown us that Israeli-Palestinian talks under these preconditions bear only bitter fruit on the banks of the Jordan and in the halls of Jerusalem.